I swear, if this year could just slow down a little… it would be great. I can’t believe it’s already August, but I guess everyone is feeling the same as me. 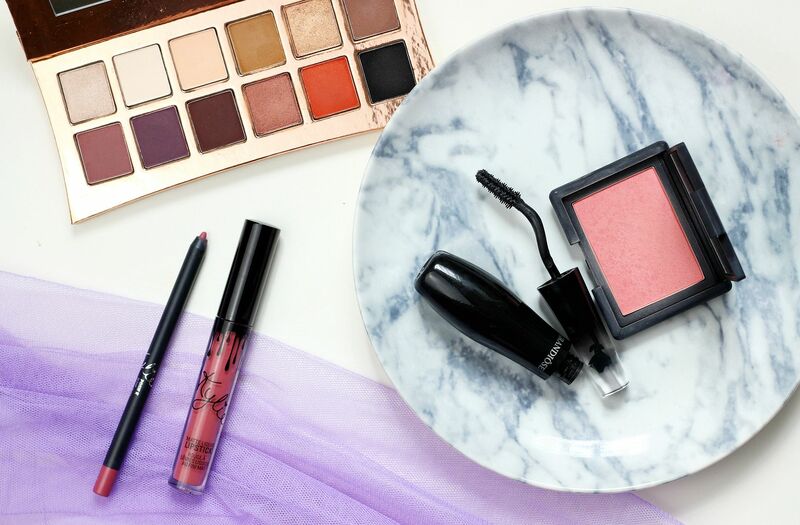 Another month does mean a new opportunity to discover new favourites, so without further ado might I introduce my four favourite products from July. I did a full post on the Illamasqua Rose Gold palette here, but I am still very much in love with it. A really well edited palette, I have been using it so much since I got it. I love the Bronx shade (shimmery bronze), the matte orange and all the browns. Ahhh, this palette is a need! Something I’ve been wearing a lot is the the Kylie Lip Kit in Posie K – I did a post about it here. It’s a gorgeous muted mauve that complements any look and the formula is dreamy. I know these are hyped, but I think if you can get your hands on one, you’ll be impressed with the formula. An oldie, but a goodie is the NARS Daydream blush – this is pretty much my dream shade with the perfect mix of peach and pink. I love the NARS powder formula, it’s one of the very best. I have been loving sweeping this shade on for a brightening little glow. Lastly, I’ve been loving the L’ancome Grandiose Extreme – the swan neck wand on this makes it so easy to nestle right into the lashes, and the formula is excellent. Non-smudgy, inky black and it gives a nice lift. The L’ancome mascaras are just always really nice.